Any pet lovers out there? Yes? Then I have good news for you! 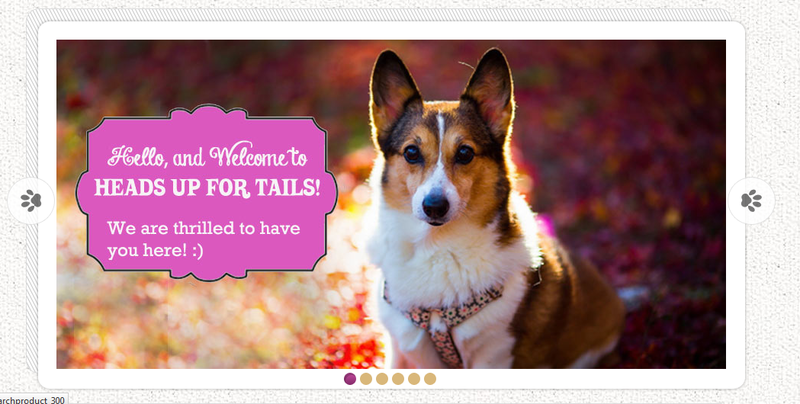 There is an online website for your dogs now! And a small store for cats too!! Heads up for tails. I love their tag line “pets are precious”, because that IS true! I had a sweet dog, not anymore though :(. So I know this much that if I ever wanted to pamper him with good food and cute toys I had to go through so much pain. Even to get him his favourite food or anything else for that matter. And having stayed in different cities of India I know this much that one cannot find out good food and other stuff for their dogs easily everywhere! 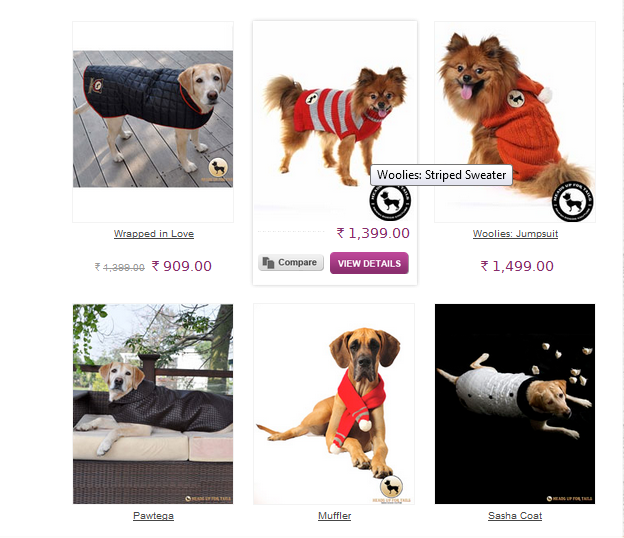 Now that everything is easily available online it won’t be a problem to get anything for your dogs. Starting from cute clothes to the essentials. 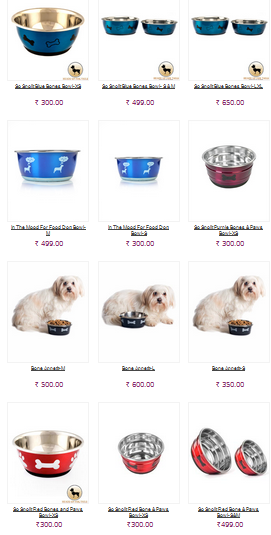 They have whole variety of apparels, collars and a wide range of food (wet, dry, veg.). What I loved the most about this is the site is loaded with cuteness and is very easy to navigate through. You can even get the dog collars personalized (how cute is that!?). Everything is categorized nicely and cats have a special corner for their stuff. My favorite part of the website !! There is nothing I did not like!! 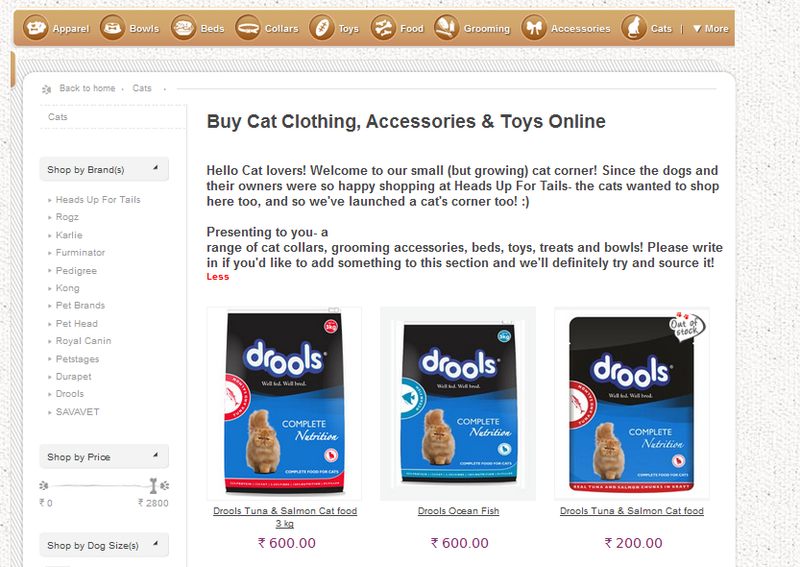 I very much love the concept of a portal for shopping things for dogs and cats! They are growing the number of products for cats too! 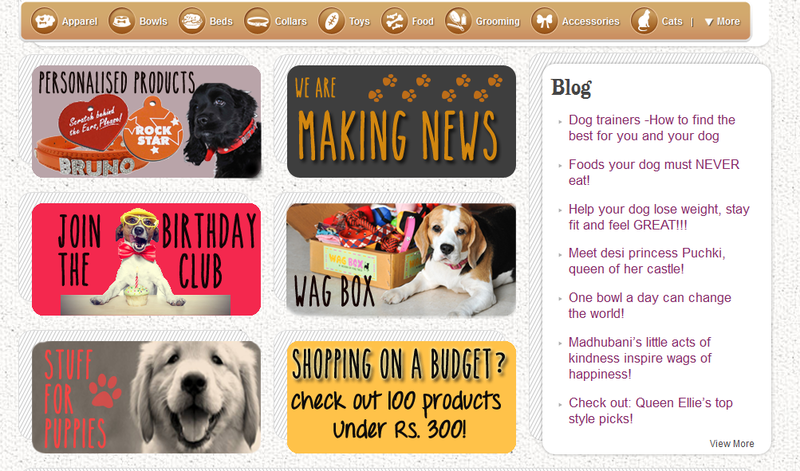 Do check this portal out if you have a pet! And let me know what do you think.